Here's an exciting update coming in September. The Mobile High Definition Link (MHL) standard will allow phones to spit out 4K video from their USB ports. MHL 3.0 will add 4K support and allow mobile devices to pump out 3840x2160 video at 30 frames per second. The new standard will also be able to transmit data and video simultaneously. 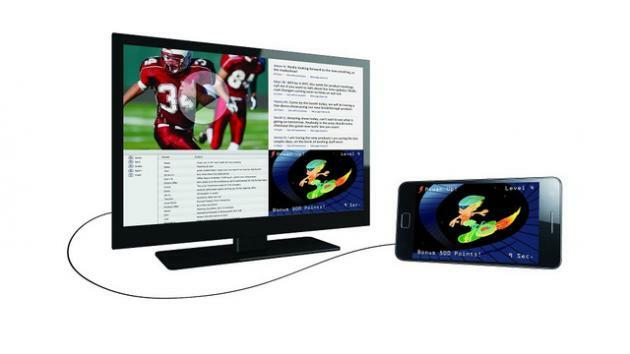 MHL 3.0 requires a physical cable connection and uses adapters to connect a mobile device to a TV.